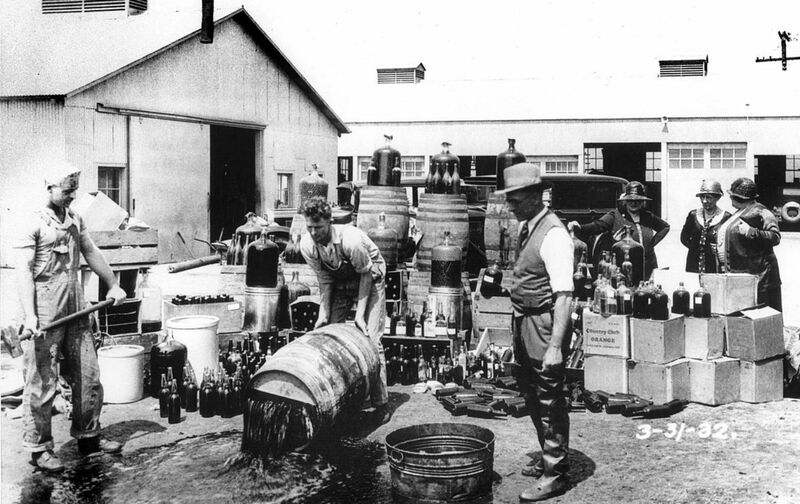 With Utah’s ratification of the 21st Amendment to the Constitution on this day in 1933, the prohibition on the manufacture and sale of alcoholic beverages in the United States ended. Long after most on the left had given up on the idea of Prohibition as a remotely liberatory policy, The Nation, under the ownership and editorship of lifelong teetotaler Oswald Garrison Villard (whose mother had warned him in his childhood never to touch strong drink) stuck by the idea, significantly straining its editors and readers in the process. In this 1932 editorial, the magazine finally came out in favor of Prohibition’s repeal, while still refusing to give up the temperance ideas that undergirded the abolition of alcohol in the first place. The Nation has been slow to come to the belief that the repeal of the Eighteenth Amendment is inevitable and necessary. It is now firmly of the opinion that every effort should be made to remove this issue from the arena of immediate politics by reverting to the condition which existed prior to the adoption of the amendment. While never for a moment, as our readers are well aware, in favor of legislating goodness into people, we have been among those who felt that prohibition, in its first years, bestowed untold benefits upon the working classes and contributed a great deal to the post-war prosperity of the American people by depriving the brewers and distillers of their share of the purchasing power of the nation and turning it into other and better channels. For this and other reasons we have clung to the hope that there would be a genuine and honest attempt to enforce prohibition and that, after it was no longer smart to violate the law, conditions would steadily improve. Here and there we do see signs of improvement, but on the whole, as the years have slipped by, conditions have steadily grown worse so far as the violation of the law is concerned. The Nation, therefore, is compelled to join those who favor the re-amendment of the Constitution, admitting that a false start has been made and that the step must be retraced. Practically ever since The Nation was founded in 1865 its editors have looked upon the drink traffic as one of the greatest of evils, and have hoped for the day when it would be so limited, if not abolished, as to end the horrible waste of human lives and treasure which the old saloon system involved. We shall continue to fight for rigid control and for the reeducation of the country in the direction of temperance. But for the moment this end must be subordinated to the question of repeal, and so must the question of what system shall take the place of the present rule by bootleggers.… The slate must be wiped clean before a new start is made.